What’s new in kitchen remodeling for 2015? There’s plenty of innovations being made in the kitchen, from customized appliances with handle-less operation, to features that were once found only in commercial kitchens making their way to the home. 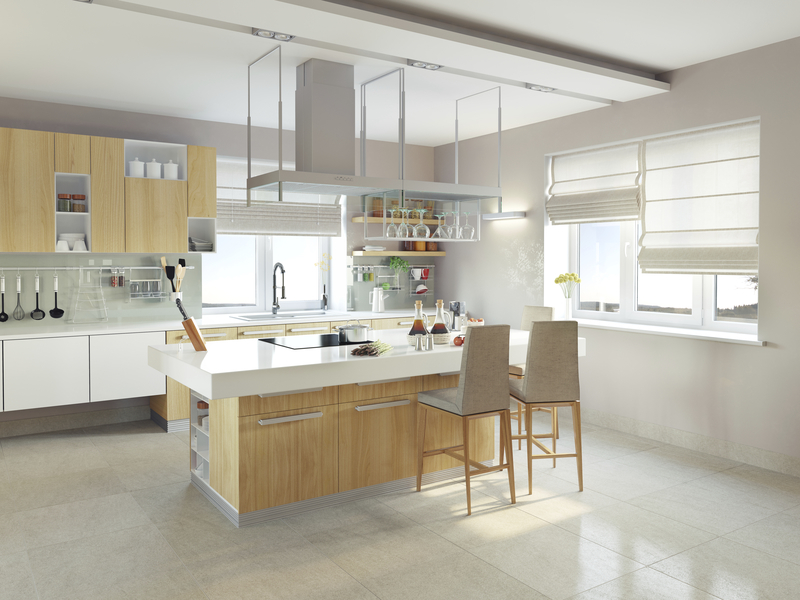 Learn more about some of the most popular kitchen remodeling trends for 2015 in our blog. Kitchen appliances and components are ditching the handle in favor of innovative and sleek designs that allow for easy operation of everything from your sink to your dishwasher. Cabinets that open after you wave your hand under a sensor, and close after you wave your hand twice. Pantry doors operated by remote control. Dishwashers that open by knocking on the door. Handle-less operation has functional benefits to go along with it’s cool form as well. The ease with which they can be operated makes it easier for the fast growing elderly population to take advantage of these new products. Commercial kitchens have capabilities that aren’t often found in residential kitchens, but many manufacturers are hearing the demand from homeowners to have these high-tech performance commercial features brought to the residential sphere. Manufacturers at the 2015 Design and Construction Week introduced everything from vacuum sealed sous vide cooking to blast chillers, and professional grade ovens and ice makers. More and more consumers are looking to customize their appliances to fit specific needs in their kitchen. Manufacturers are answering with innovative new appliances that dedicated chefs will want in their kitchen. From innovative kitchen workspaces for more efficient meal prep, to customizable food and wine storage systems, homeowners now have more options than ever when it comes to kitchen appliances. This entry was posted on Wednesday, April 8th, 2015	at 8:00 pm	. You can follow any responses to this entry through the RSS 2.0	feed. Both comments and pings are currently closed.